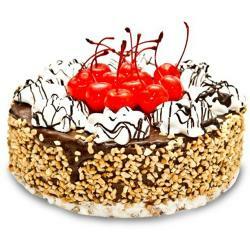 Product Consists :1/2 Kg Chocolate Flavor Cake (Cake Decorations will be made as per availability ingredients it makes a little bit difference as per cake Image). 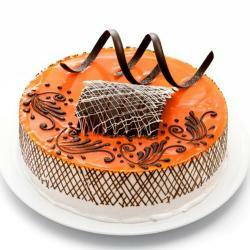 Celebrate The Moment And Experience A Total Gratification Of Chocolate With Giftacrossindia.Com The Perfect Surprise For Your Near And Dears Ones With Round Shaped 1 Kg Foutain Chocolate Cake It Is Fully Whipped Cream Coated And All The Garnishing Is Done With Quality Chocolate Cream. 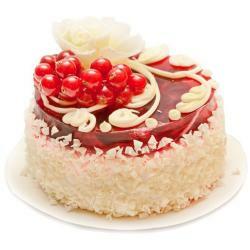 The Chocolate Is Symbol Of Love So Does This Cake Which Shows The Care And Affection You Have In Your Heart For Her. 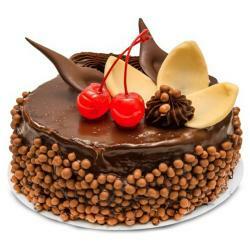 Delight Your Dear Ones With The Treat Of Awesome Taste With This Very Delightful Gift Item Which Is A Chocolate Cake. 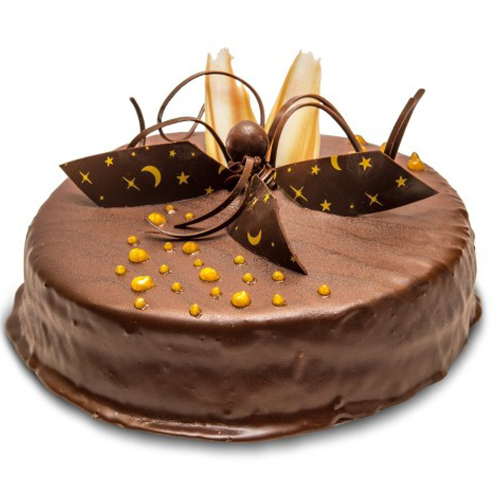 Excellent Gifting Option For Occasions Like Birthday, Boss Day,Fathers Day, Mothers Day, Parents Day,Womens Day Product Includes: 1/2 Kg Chocolate Flavor Cake.